Voted the best German restaurant in New Braunfels, Friesenhaus is open seven days a week for lunch and dinner. Menu includes numerous authentic regional German dishes like pork schnitzels, sausages, fish plates and traditional roasts. Homemade warm apple strudel and delicious cream tortes pair well with a cup of coffee, cappuccino, or wide variety of loose-leaf hot teas. Bar features 16 draft German beers ranging from pilsner,lager, dunkel, bock, black and wheat. 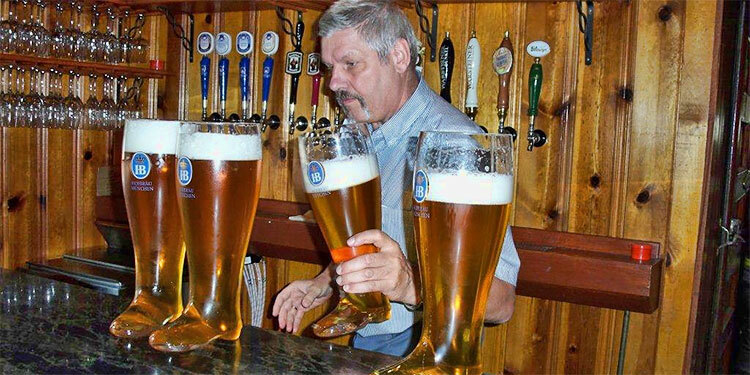 Beers are served in authentic German glassware that includes the two-liter “Das Boot” glass. New breakfasts added Saturdays and Sundays only – doors open at 8 a.m.